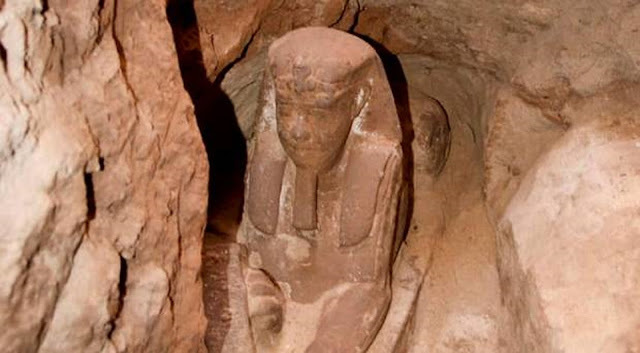 Archeologist found a 300-year-old statue of Sphinx in the Temple of Kom Ombo, in Aswan Egypt. The statue of a lion's body and a human head was excavated during the work to protect the site from groundwater. Mostafa Waziri, secretary general of the Supreme Council of Antiquities said that the statue is dated back to the Ptolemaic time, sometime around 300 years, from 320 B.C. to about 30 B.C.